I am sure you have heard "The Money is in the List" a thousand times.....and for good reason because it is TRUE!! The most effective means of communication is e-mail marketing. When done right, it can be the difference between success and failure. Building your own list can be quite time consuming, but so beneficial to your online success. 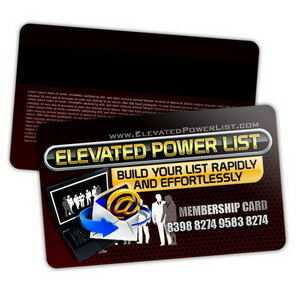 So I proudly introduce Elevated Power List to the rescue........Email our List Today!! 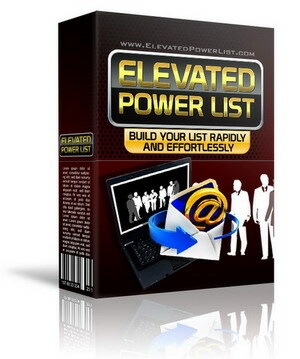 Elevated Power List will get you off the ground and running, providing you with a fantastic base for your marketing campaigns. When you snag your FREE Elevated Power List membership, you can immediately get traffic to promote your offers. How cool is that? If you feel like you have been banging your head against brick walls trying to get targeted traffic to your site, then take the zero risk membership and snag your $100 worth of FREE advertising today at Elevated Power List and start getting that targeted traffic. Get a jump on your competition by claiming your free membership and tell your contacts about Elevated Power List before they ask you to join under them! P.S. Act fast because I don't know how much longer I can give away the $100.00 in Free Advertising!!! Copyright © 2019. Elevated Power List. All Rights Reserved Worldwide.